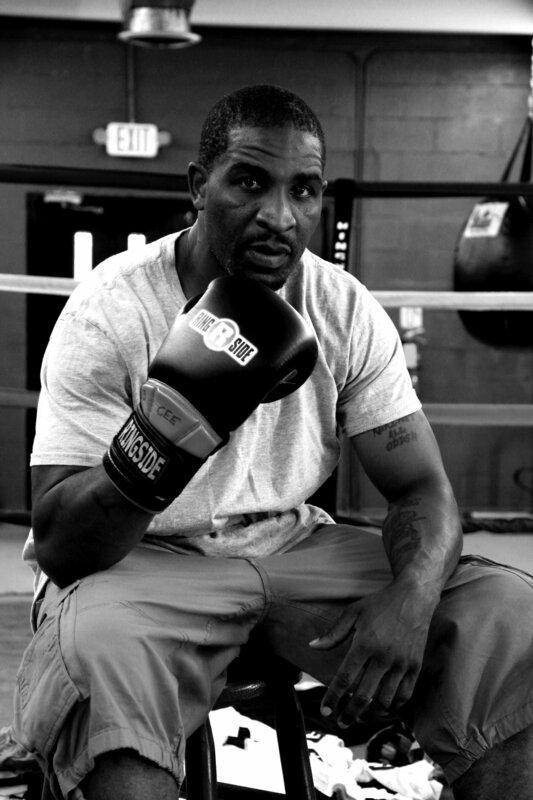 Head Coach of Greenville Boxing Club. Center for Educational Equality. Graduate from Southernside High School. How did the Center for Educational Equality begin? We starting the Saturday Success School, with a goal of engaging all grade levels,1st-12th, in extracurricular educational opportunities. All kids that were playing on teams were required to go to these Saturday schools in the morning from 10am-12pm. The majority of kids were coming from the City Heights area near Cherrydale. The program expanded from being athlete-centric to being open to all students as the benefits of this program started to become clear to parents and administrators. This began in 2000. 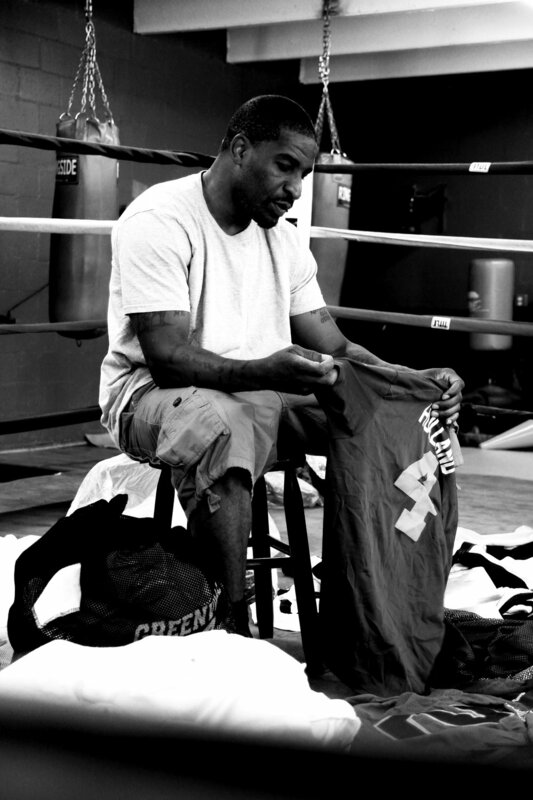 The Greenville boxing club operates out of the CEE and is just one component. You see these trophies over here, that is probably just a third of the ones we have won. We have had some kids just really reform and excel in both sports and academics. A lot of them graduated, have gone on to college and have come back to the area and are now enrolling their kids in the program. How does your programs work? The success of the Saturday Schools has been transformed into the after school program that is run underneath DJJ (Department of Juvenile Justice) which runs during the school calendar year and then during the summer. We have an academics fitness boot camp (a 7 week camp) and so we are able to work with kids year round and it functions as an avenue for community development. No matter what, our main focus is on academics and fitness. To be academically and physically fit and sound, we try to train our students to become master students. A master students is a student that can learn anything. This gets the kids thinking less about “I like this subject or that subject” and really focused on excelling in everything. How many kids do you serve and what is your funding situation? Our after school has about 30-40 kids. Periodic attendance is normal. As a non-profit, we do accept donations. Our goal is to work with students who don’t have the resources to pay tuition. We have community sponsorships, and have a partnership with United Way, but we really work on a shoestring budget. We are dedicated to the mission. When I get here at 8 o’clock, there are already 10 kids waiting outside to get in. What has added to the success of this program? Most summer camps operate with government funding and might have resources to go swimming or skating, go watch movies, but our focus is going to be on work ethic, academic drills, fitness drills; we have a football camp and we keep them moving in a more disciplined manner. We are training them to be better students by giving them fewer opportunities to cut up. If you can give seven weeks of your time to a strict program like this, you are going to be serious about advancing your education. We do not lower our standards to accommodate students who can not meet our expectations and rules for behavior. Even though we will work with students, we will not lower our standards. In many ways that is what making our program more successful. Tell me how you came to occupy this location. We were looking for locations. We looked at Happy Hearts Park and then we found this building which was oriented in a community which we found really needed student engagement programs. At first we were thinking we were going to get a lot of support from the community but really it was the opposite. We moved over here in 2006-7. What we found was that the initial investment which parents had to make, to get their kids in the program was too much for them to make at that point in time. As we continued, a lot of the neighborhood kids began to pay attention to the students who were a part of the program and began noticing muscle definition- the shape these kids were in. They started hearing about the traveling these kids were doing through the traveling boxing team. The opportunities to see and go to places they never would have been able to. The focus and discipline that became apparent. The seed, planted, as these kids are developed through this program have dividends when they return to school. Parents began to share the transformation of their students with others and as news of them has spread through word of mouth, we started seeing more kids. At this point how many of your students are from West Greenville? About 25% of the students are from West Greenville while about 75% from the rest of Greenville. Did you have a lot of renovations to do on this building? The condition of the building: We did all of the modifications. We had to add an exit, adding the steps on the side, and an additional exit downstairs. A lot of the funds we had to start the program went into these modifications for the building. We had to get the roof fixed and then over the 7 year period we have been in the building, we had to get it replaced again. We had to get the lights, the walls painted, the floors redone. We made sure to keep the building up to code because that is a top priority to have a safe environment. There is a really lovely mural on the building. Tell us about that. This mural is on vinyl. It was a project organized by David Guaraurd a Furman professor at the time. Initially he came to teach some classes, and then he initiated this collaborative piece with the students. He was referred to us by my mom, actually to help with summer camp sessions. During that time there was a contest with DJJ for the SC TASC logo. This logo competition was won by one of our students. The whole state got our logo, learning some of the skills from David. Poetry, sketching, these kids are learning to become Master Students. What are you hoping for as you look at the future of this organization? At the end of the day, you can tell kids that they can grow up to be whatever they want to be but sometimes it’s nice just to have better things- like this football team we have ragtag equipment, and you know, we are still going to go out and win championships, but it would be better if these kids had better things. That is when dreams really can come true. Sometimes you have to show these kids what can be achieved, and that is what we try to do. With the resources to give kids opportunities and equipment and experiences that they wouldn’t ordinarily have access to, we grow their horizons. What is what keeps them inspired. Keeps them pushing. Pride. Focus. Discipline. If we had more we could represent it in a better way. For Greenville to be a great city, a great community, it is going to take everything to make it great, and we are just trying to do our part. Speaking of which, what do you think about the change and growth that is happening in West Greenville, specifically? I see it as Greenville becoming a better Greenville. As growth comes in, it is going to be more people coming in getting access to better services, we are going to start extending our gym hours because we offer great services. It’s going to benefit us too. Tell us about one of your champs. We have a 10 year old kid who we are projecting to be one of the best fights of this generation. He already has 6 belts.